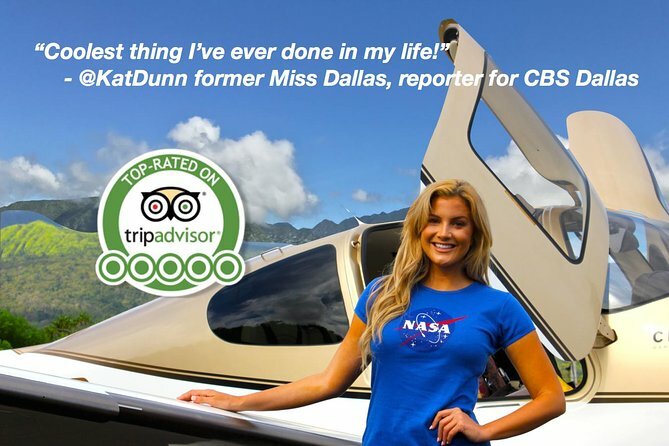 The only Private Air Experience on Maui! On this once-in-a-lifetime 1 hour adventure, you will embark on a NASA-style analog mission, the Craters of Mars, Mission to Haleakala. View 130 miles worth of Maui, including the two faces of the Volcano, the living rain forest and waterfalls, and the Mars like craters of Haleakala which can only be experienced from above.Having lived aboard the International Space Station, and orbiting the Earth 2,842 times, Astronaut Ron Garan takes you on a visual and audio journey that introduces you to his Orbital Perspective.Soaring over West Maui mountains on your way up to the crater of Haleakala, your participation as crew member takes you exploring to a new world, and what it might be like one day as NASA prepares for its most daring adventure ever attempted, placing humans on Mars.This experience will captivate all ages, in a way that only an Astronaut can communicate. See Maui in a whole new way! If you are a fan of the Space program, or ever dreamed of wondering what it might be like to go to Mars, then this is for you. Designed as a Private Air Tour, on the entire adventure is narrated by Astronaut Ron Garan, veteran of 2 space flights and living aboard the Space Station for six months. Up to 3 of you (no more than 600 lbs total combined weight), will get to experience this, "NASA-style" Analog Mission. Rated 100% 5 Star on Trip Advisor, you will not only get wonderful views, but come away with a feeling that only an Astronaut can truly convey. Please call or text 808-298-5188 if lost or need directions. Pass the control tower, park in the end row there are two red parking signs for our guests.